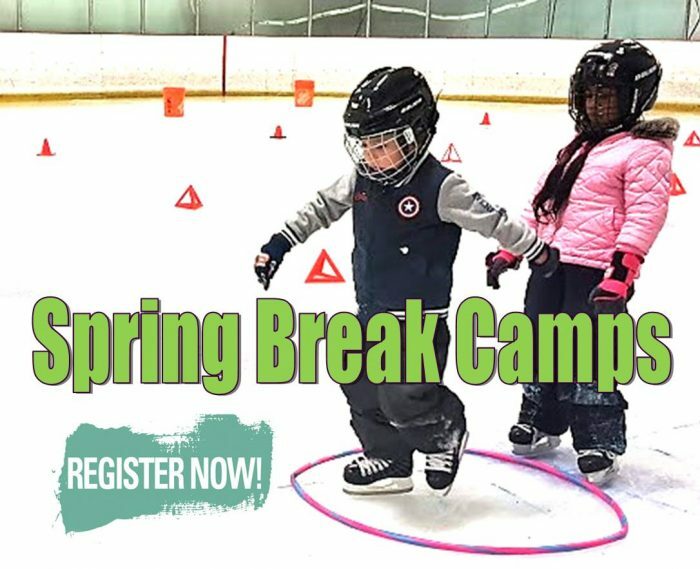 This camp teaches the fundamentals of skating in a positive and encouraging environment. The skills learned throughout the camp will provide skaters with the basic skills and techniques to continue into Hockey, Ringette, or Skating for Recreation. Players will be evaluated and placed in groups according to skill level, from Beginner to Advanced. Parents may join their beginners on the ice, until independence is obtained. Parents must wear a helmet. For ages 3 and older. CSA approved Helmets, Skates & Gloves are required. This camp is for players who can already skate or have graduated from our “Learn to Skate” program. It is designed to teach a combination of skating, puck control, and teamwork as an introduction to hockey. Players will be evaluated and placed in groups according to skill level. For ages 3 and older. Ryan is the lead instructor and founder of Ryan Carignan Hockey Development. This power skating camp is a high energy camp with a focus on proper technique and repetitions. Skaters will get lots of reps and correction during each session. During the skates Coach Ryan will be focusing on all aspects of skating including stride, balance, edges, crossovers, tight turns, backwards, explosive power, agility, pivots, and stick placement. SAVE 10% WHEN YOU REGISTER FOR BOTH OF COACH RYAN’S HIGH PERFORMANCE CAMPS! Ryan is the lead instructor and founder of Ryan Carignan Hockey Development. This skills camp is a high energy camp with a focus on skating, puck control, and shooting. The camp will include a variety of different skills with a focus on proper skating technique. This class is designed for hockey players that are confident in their skating ability. During the skates Coach Ryan will be focusing on skating, puck control, shooting, puck protection, passing, receiving a pass, deking, and compete drills. Andrew is the founder and head instructor of SharpShooter Hockey Training. His passion and dedication for each individual athlete helps him focus on all aspects of a player’s individual skill set. This camp will help improve explosiveness, coordination, and cardio to elevate the player’s game. Andrew’s Power Hour is designed to push players out of their comfort zone to turn weaknesses into strengths. Players will be pushed in a positive and challenging environment to help develop them into the best hockey player they can be. This Atom/PeeWee Camp offers the advanced player the opportunity to tune up their skating techniques while developing their stride, edges, and balance. Players will work on heads up puck control with the ability to handle the puck around the whole body. Players will also work on quick release shooting and accuracy. This camp is designed to hone the skills required to become an accurate and proficient shooter while building a player’s confidence to maintain and control the puck in every situation. Development will begin with instruction on proper shooting and puck possession techniques then progress to more focus on speed, accuracy, power and control. For ages 8 to 12 years.